With fully furnished or unfurnished units available, Casa Bell on Westshore is the ideal place to call home in the Tampa area. Unlike extended-stay hotels, our apartments offer all of the luxuries of home and apartment amenities such as outdoor patio and grilling space, carports or garages, a pool, fitness center, and a club house. 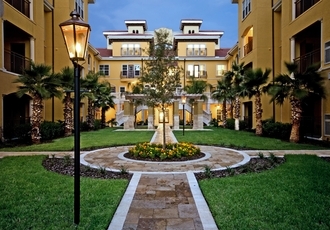 Finding furnished housing solutions in Tampa should be stress free, and at Casa Bella on Westshore it truly is. With flexible leases, the option of direct billing for corporate clients, and pet-friendly luxury units, we are ready to welcome you home. Our spacious apartments, located just 10 minutes from MacDill AFB, offer a number of advantages over extended stay hotels and other long-term hotel accommodations. Here are just a few reasons why you will love to call us home. 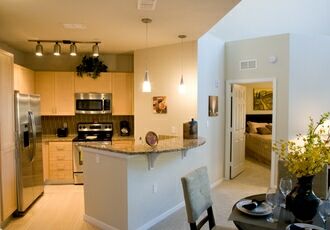 Contact us today to request more information about our fully furnished apartments in Tampa, Florida.